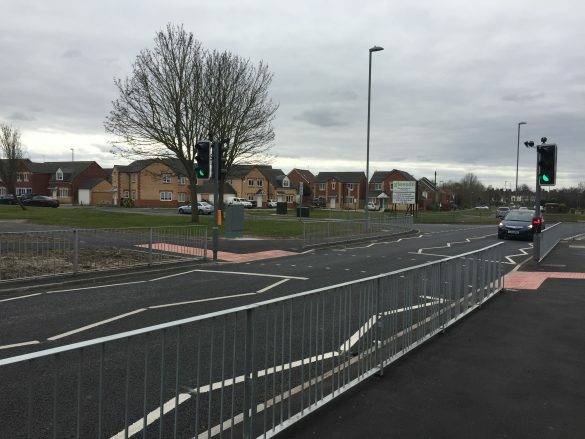 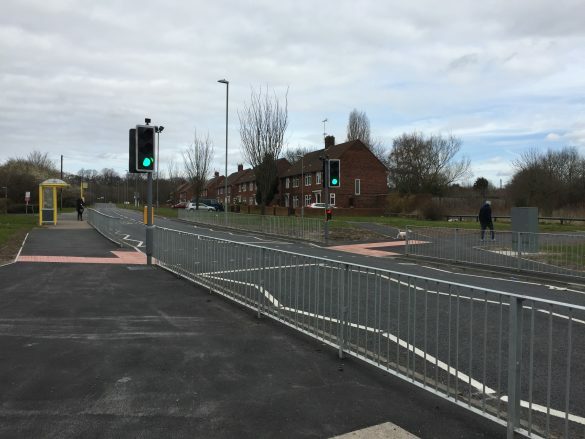 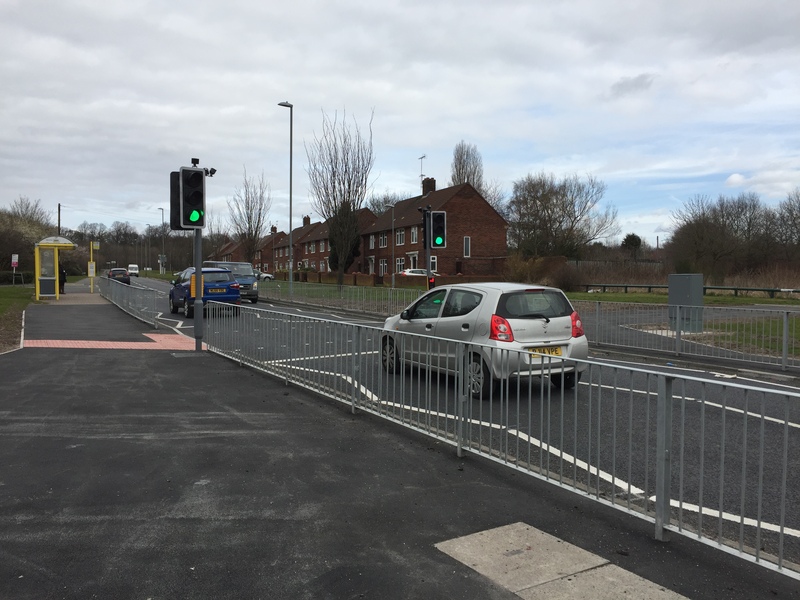 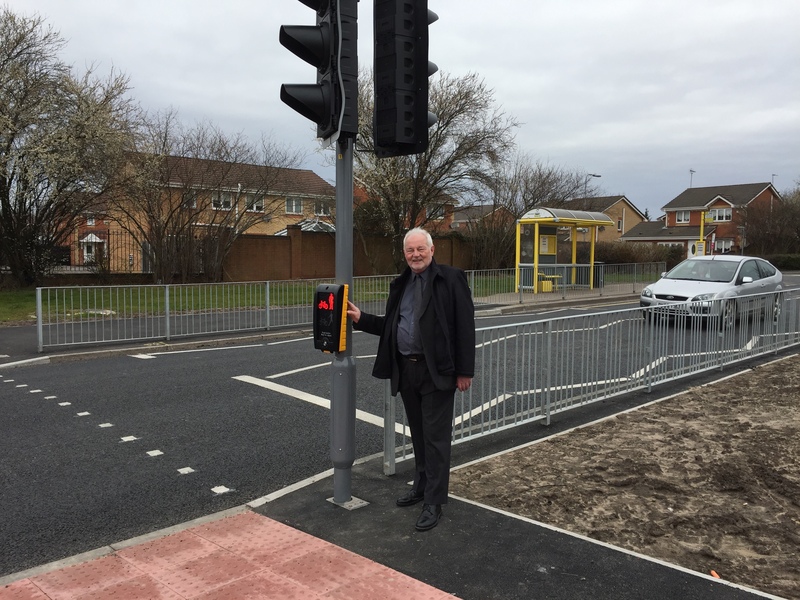 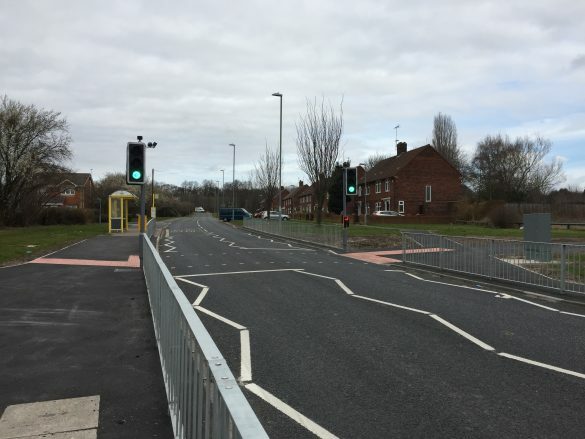 A new signalised pedestrian crossing has been constructed in North Huyton, to help improve pedestrian safety on a busy road. The crossing, which uses signals to allow pedestrians to cross the road, has been installed on Stockbridge Lane. 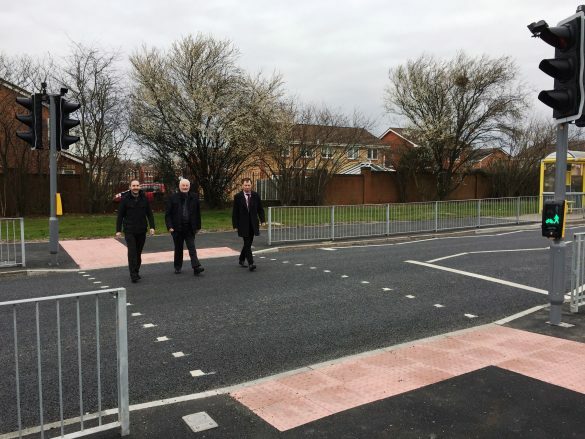 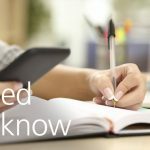 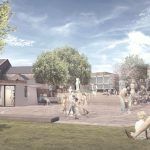 it will help to improve the connections to amenities on both sides of the road, such as the adjacent bus stops and enhances the pedestrian links between North Huyton regeneration area and Stockbridge Village. Funding for the works was provided by Merseytravel and the Department for Transport as part of the Liverpool City Region Better Bus Area.